Unable to Print/Scan/Copy on your Canon printer? 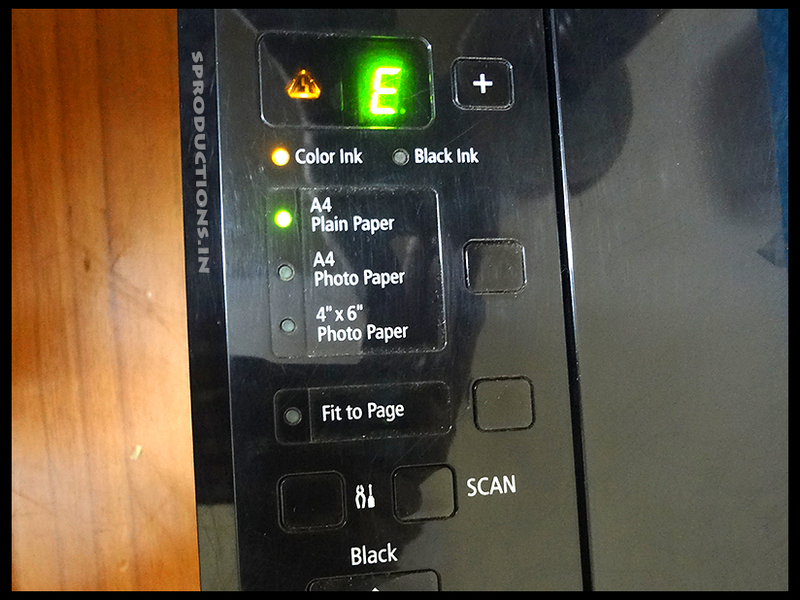 Getting an E16 error on your Canon printer? I've been using a Canon Pixma MG3170 colour printer for a few years now and so far have had no issues with it. Although a bit expensive, I regularly used to buy new cartridges and replace the old empty ones. This time around when the colour cartridge went empty, I decided not to replace it until the Black cartridge dries out as well. Since there was more than 50% of Black ink available, I decided to continue using it. Today, I needed to take a print out and decided to switch on the printer, only to notice an Error code E16 flashing on the printer LED screen. This error code did not go away by pressing the reset button or switching the printer Off/On as well. I was now stuck and unable to take a print out. Upon a bit of research on the internet, I found out a unique and an easy to follow method following which I resetted the error code and was successfully able to take Black printouts. Switch On your Canon printer. Once it powers on and displays the error message, Press and hold down the Stop/Reset button. With the Stop/Reset button pressed, press and hold down the Power button as well. Keep holding both these buttons for around 3-6 seconds until you see the display change. After 3-6 seconds, release both the buttons and the printer should switch itself Off. Wait for another 5 seconds and switch On the printer. Once the printer powers On completely, you would notice that the error message (E16, E13, E15, E17) has gone and you would now be able to take printouts using the other ink available.